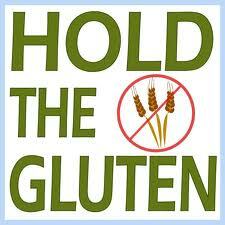 First let’s look at just what exactly is “gluten.” Gluten is a protein found in grains, such as wheat, barley and rye. It is ingested not only from breads and other flour-based foods, but most processed foods as well where it is liberally used as a stabilizer and thickener. Welcome to the Ultimate Blog Party – This is the Healthy Chocolate Party Place! Let’s Party! Welcome to the Ultimate Blog Party, hosted by 5 Minutes for Mom. We’re joining the party with a giveaway for you! Just follow the instructions below to enter to win a 12-pack of Mayesa healthy chocolate drinks! Mayesa is all about indulging in chocolate – healthy chocolate! Made from organic cacao – one of the healthiest foods on the planet – Mayesa is chocked full of good things for you, including fiber, calcium, potassium, vitamin D and those great immunity-boosting antioxidants. And a bonus – Mayesa is dairy-free, gluten-free and soy-free! What does a delicious Mayesa drink do for you? Besides allowing you to pamper yourself with decadent chocolate, you’ll also find that it energizes you, it replenishes you, it increases clarity, and it suppresses hunger. A healthy chocolate Mayesa drink is great for breakfast, a mid-morning pick-me-up, as a way over the mid-afternoon slump, and is perfect for dessert in the evening. You’ll love giving it to your kids, too – knowing that they can now have a chocolate drink that is actually good for them. It’s so great to have you here to visit. Please feel free to browse around and learn more about healthy cacao. Browse our web site at mayesa.com to learn about Mayesa and organic cacao, then leave a comment on our blog below mentioning something you learned about healthy chocolate Mayesa that you think other mommy bloggers – and daddy bloggers, too! – would like to know. Want extra entries into the contest? Do the following..! “Like” us on Facebook and post on our wall what your favorite thing about Mayesa is. Make sure we have a way to reach you, by leaving your email in the comment. One winner will be chosen at random by using random.org. The contest ends April 15h at 11:59 EDT. We will announce the winner Monday April 17th. And, don’t forget to head over to the Ultimate Blog Party (#UBP13) at the 5 Minutes for Mom web site! It’s a chance to win another 12-pack of delicious healthy chocolate Mayesa drinks! You’ll also discover many other great blog sites, and there are prizes galore! Thanks for learning more about Mayesa – the chocolate drink that’s oh, so delicious – and healthy! You’ve seen our packaging and know that our healthy chocolate drink, Mayesa, is gluten-free, dairy-free, and soy-free. While most of you are probably aware of the benefits of going gluten and dairy free in your diets, a soy-free product is not so readily understood. 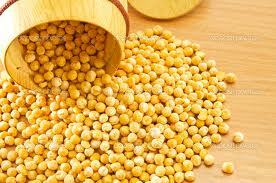 For a number of years soy has been touted as the perfect health food – a natural source of high protein. However, recently a number of studies done by reputable institutions, including Cornell University, are showing that, in fact, soy is can be rather dangerous. 1. Phytates, acids that block the body’s uptake of essential minerals such as like calcium, iron and zinc. 2. Potent enzyme inhibitors that block the uptake of trypsin and other enzymes that the body needs for protein digestion. 3. Hemagglutinin, a clot promoting substance that causes red blood cells to clump together so they are unable to properly absorb oxygen for distribution to the body’s tissues. Soy has also been linked to the explosion of thyroid disease in this country. According to Kaayla T. Daniel, PhD in a study by the Harvard School of Public Health, soy oil is the most widely used oil in the U.S., accounting for more than 75 percent of our total vegetable fats and oil intake. And most of our soy products are now genetically engineered. Beyond these concerns, there has been a huge rise in soy allergies such as with wheat allergies. Soy is now considered among the top eight allergens that can cause an immediate hypersensitive reaction. According to a number of allergy specialists, many soy allergy reactions can also occur up to 2 days after consuming soy products, including sleep disturbances, incontinence, sinus and ear infections, irritability, joint pain, chronic fatigue, and gastrointestinal upset. We at Mayesa are dedicated to offering a product that is truly healthy – in all ways for all members of your family. And now you know why we proudly announce that both Cacao Original Mayesa and Cacao Mint Mayesa are soy-free! Everybody can use and enjoy our healthy chocolate drink. Comments Off on Why No Soy?